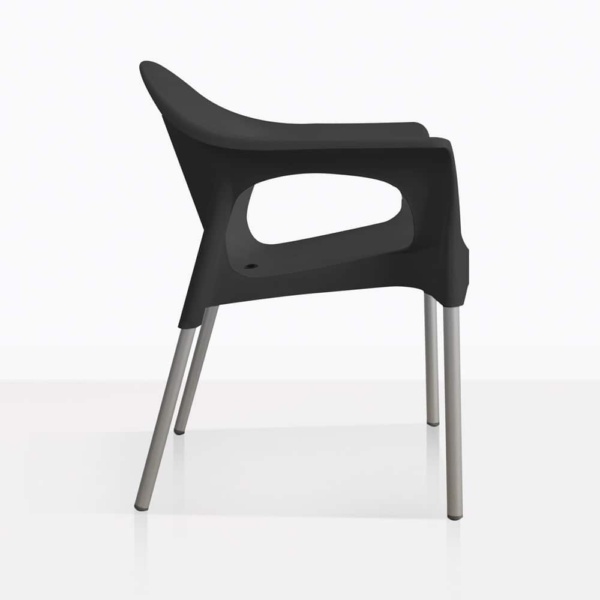 The Liz Café Dining Chair has that fun and quirky mid-century vibe that we love. It’s perfect for smaller café-style dining or just as great for larger settings. The versatility and functionality is on point. 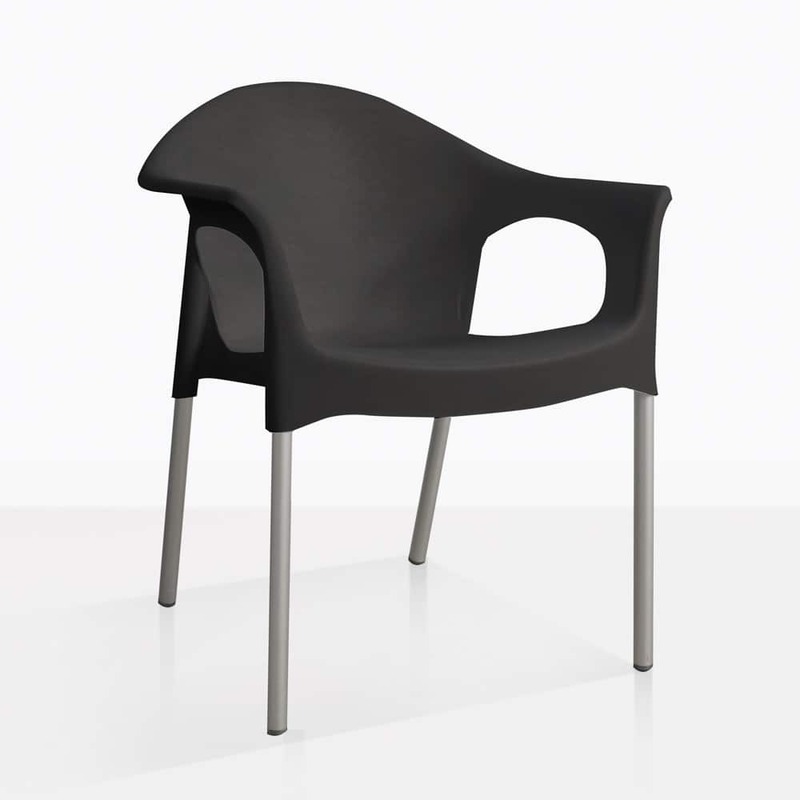 The bucket shape seat and rounded back make this a unique and striking chair. 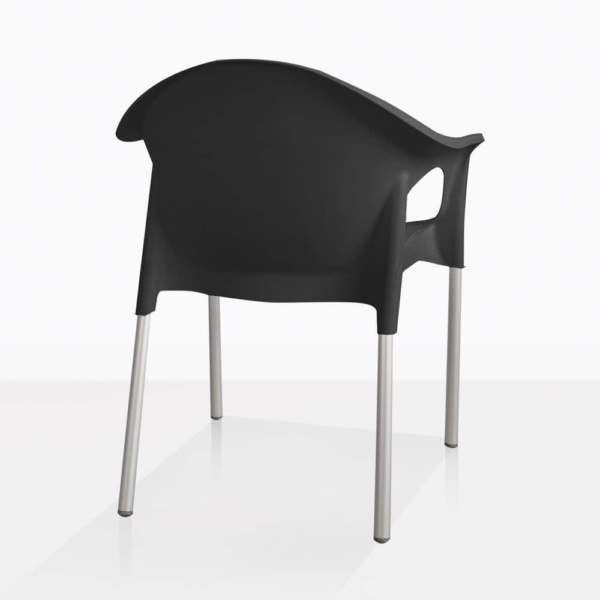 Not only does it have good looks, it is also very durable and lightweight. 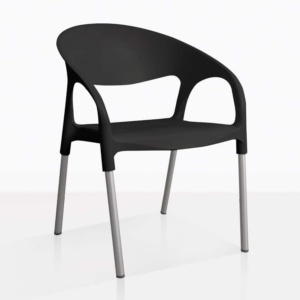 The Liz Café Dining Chair in black will go perfect with many of our outdoor dining tables. We love pairing it with our a-grade teak and 316 stainless steel extension tables. Or try it with our range of Raw Concrete outdoor dining tables. 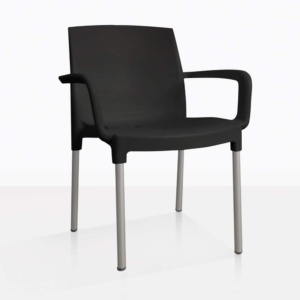 This chair can be styled many ways, all of which are certain to be comfortable and inviting. 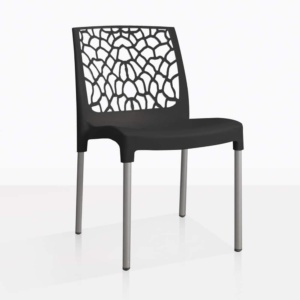 The Liz Café Dining Chair is also available in white. Call us today to learn more!